"Let us be firm, pure and faithful; at the end of our sorrow, there is the greatest glory of the world, that of men who did not give in." Towards the end of last month, I posted a review of "Flashlights" by Douglas Clarke, published in The Strand Magazine in May of 1918, when the world was entrenched in what became the final year of the First World War and the story itself was set in the thick of the fog of war – centering around a cordoned-off hill from which light signals are send to German submarines. 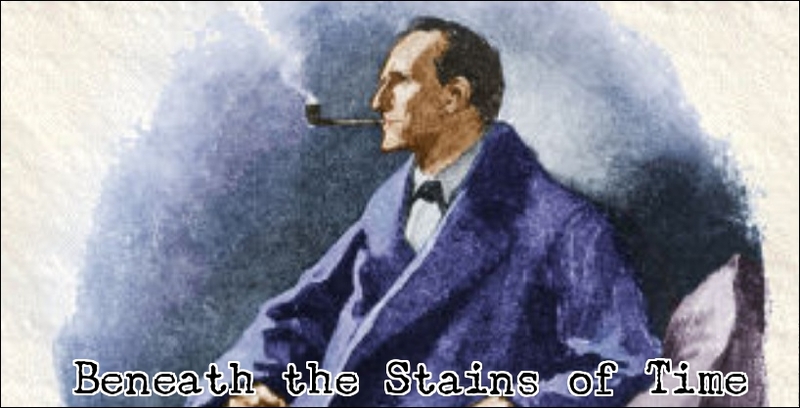 What made the story special is that it's perhaps one of only a handful of mysteries written and set during WWI. 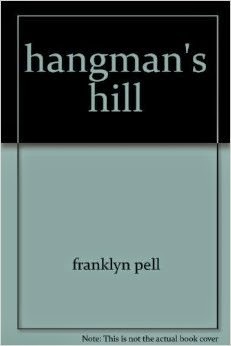 I know the volume of detective stories-and novels written/taking place during World War II rivals the amount of cargo dropped by British Lancasters, but Franklyn Pell's Hangman's Hill (1946) differentiates itself through its unique depiction of news correspondents on the battlefield. However, the book was published when the Nuremberg trials were being held and you can find traces of the post-WWII world scattered throughout story – as patriotism had to give some ground to realism. There are references to soldiers making cognac out of gasoline, racketeering and stiff punishments for mistakes, but the reference to Europe as a country seems hopelessly naïve today. Hangman's Hill is set in a partially liberated France and the allied forces are pushing on to Germany's borders, by taking the region of Alsace, and they're planning to shell the evacuated town of St. Anne and drive the "Jerries" from the surrounding hillsides – including the titular Theatre of Operation. Unfortunately, there isn't a ghost or legend clinging to the hillside, however, the battle scene that takes place there more than made up for that! And, curiously enough, that battle begins with a light flare send up from the hill and there's my reason for bringing up Clarke's "Flashlight." It's unwittingly an interesting companion story to Pell's novel. The impossible problem that was at the heart of Clarke's short story was replaced here, described by Anthony Boucher as, "the Chestertonian principle of hiding a corpse in a battle," and the unfortunate victim is Tom Grange – a hated American war correspondence. Grange's remains were found in a foxhole and badly damaged by an exploding grenade. Lieutenant Schneider and Larry Shanahan, one-time star crime-reporter of the St. Louis Blade, take the matter under close scrutiny. And the place is littered with potential suspects and motives! A wounded war veteran, named Venola, and Major Farley appear as the most promising suspects, because the first lost his stripes due to Grange and the other can't account for losing a grenade. Shanahan and Schneider take a sober and matter of fact approach to the investigation, which means the story can be talky at times, but the details on war reporting, censorship regulations and money-exchange schemes were truly fascinating stuff – and, admittedly, the highlights of the story. One notable example is the murder weapon, an American grenade, which made it unlikely a German soldier threw it, because only likeable situation they could've gotten those is if they were advancing instead of retreating. Armed divisions beating a hasty retreat in those days usually left a thing or two behind, you see. The friction described between the pro-French and German (speaking) population of Alsace, and outlawing of the French language during the occupation, echoed some recent news events. Boucher said of Hangman's Hill that the "knowledgeable and fascinating details" of the War Press Room made up for the "almost total lack of characterization," but I have to disagree with the maestro here (what? Constable, take this man away!). I think a more in-depth characterization would distract from the events and the war here was kind of a character in itself. And the uniform-characterization fits the theme and surrounding of the book. After all, these are professionals doing a job and their current situation sort of gives any private problems they might have an air of complete irrelevancy. My problem is that, plot-wise, Hangman's Hill, didn't measure up (not even close) to other classic WWII mysteries such as Christianna Brand's Green for Danger (1944) and Micheal Gilbert's superb The Danger Within (1952). In that respect, I think the book is of more interest to mystery scholars, history buffs and fans of the TV-series Foyle's War, but I definitely liked it. 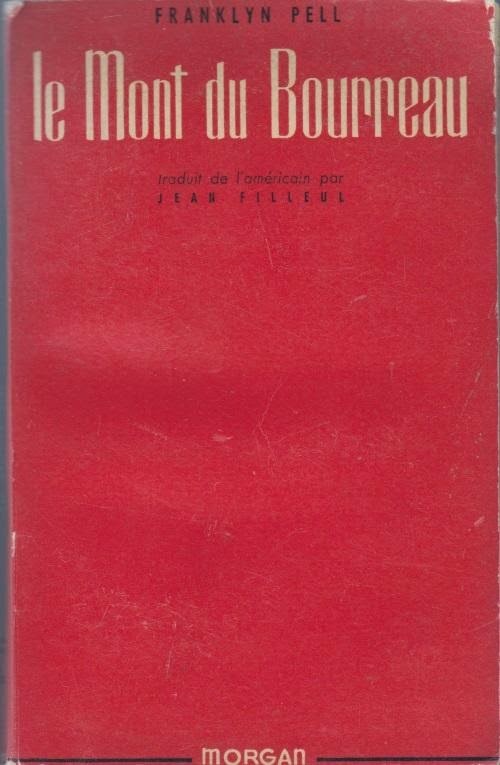 By the way, I was only able to find a cover of the French edition. Seems fitting. What about the cover of the edition you read? Oh, wait...did you read an electronic version that didn't have a cover? You're correct: the e-dition didn't have a cover and those two were the only ones I could find online.